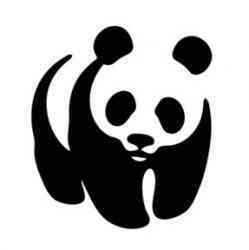 The WWF (World Wide Fund for Nature), an international conservation organization, is seeking a competent and highly motivated Community Outreach & Environmental Education Officer, to be based in Masasi. The Community Outreach & Environmental Education Officer will have overall responsibility for a component of SECAD public relations and the successful integration of outreach/public relations within the Selous Game Reserve (SGR) Management. This will involve establishing an Outreach Unit and training SGR Wardens and rangers in applying good principles of communications and advocacy work in SGR. Equip them and the surrounding co-management buffer zones communities as well as the district councils with the required knowledge necessary to ensure the achievement of long term SGR conservation goals. The Community Outreach & Environmental Education Officer will be responsible for building and sustaining SGR relations, reputation for natural resources management quality, and bridging the gap between local communities' and the whole management of SGR. The incumbent will also be responsible for ensuring a clear understanding of the SGR General Management Plan to the communities and other stakeholders and help to ensure SGR achieves its goals and objectives set out in the GMP. The Officer will also develop schemes to convey messages about the significance of SGR to the nation, region and globally. Facilitate training of SGR Wardens and Rangers as Undertakes research and develop educational programmes for schools, adult's learners and various targeted community groups on SGR and key I environmental challenges that both SGR and other stakeholders could be addressed jointly. Facilitate the preparation and issuing of publications such as newsletters, policy briefs, posters, email announcements, planned publications, online, intranet, social media, video, special projects, and assignments as part of broader communication and information sharing with all stakeholders. Detailed Terms of Reference can be obtained by email request to the address below. Applications must include a complete CV with full contact details of three referees and should be addressed to the People & Culture Manager, via email to: hresources@wwftz.org by Monday, 22nd April 2019 at 4:30 pm.